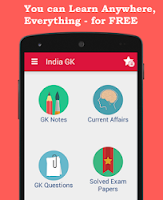 Current Affairs MCQs of 10 August 2015 Quiz: Current Affairs Daily Multiple Choice Questions (MCQs) for India GK, World GK and current affairs with Collection of daily objective type Question by www.Indiagk.net based on General Knowledge (GK) and General Science (GS) Questions for UPSC, State PSC, SSC, Police exam, Railway exam, SBI, Bank PO, IBPC, SSC, LDC, UDC, Army, Airforce, Navy, Coast Guard, Bank Clerk, TET and all entrance examination with current affairs News, Multiple Choice Questions (MCQs) available on Website www.IndiaGK.net and Android Apps with daily updates:. India Wins Runners up Trophy in Its Group in Under-12 Asian Youth Football Festa 2015. This event was held in ? In which state on 10th August , at least eleven people have been killed in a stampede at a temple in Deoghar ? 24th Saraswati Sammaan for the year 2014 was given to ? School Nursery Yojana started on 10th august with aim to ? Central Sector Scheme – "Nai Manzil" is launched at ..... on 10th August? New Central Sector Scheme – "Nai Manzil" is related to ?